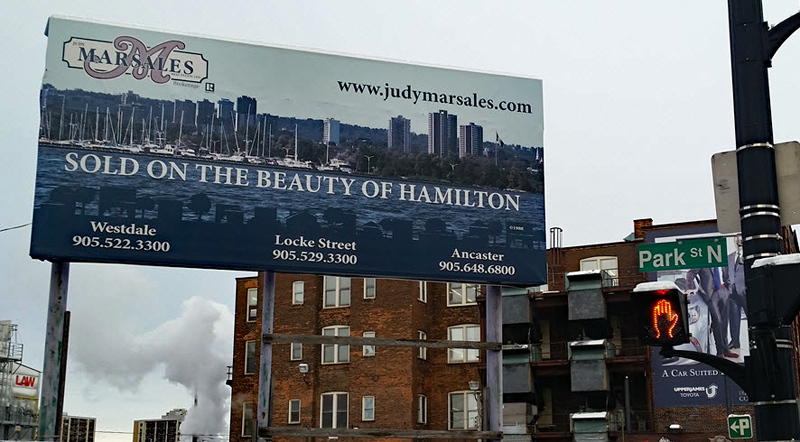 The Power of the Brand - At Judy Marsales Real Estate we actively promote our brand, sales associates, services and listings both on-line and off-line. 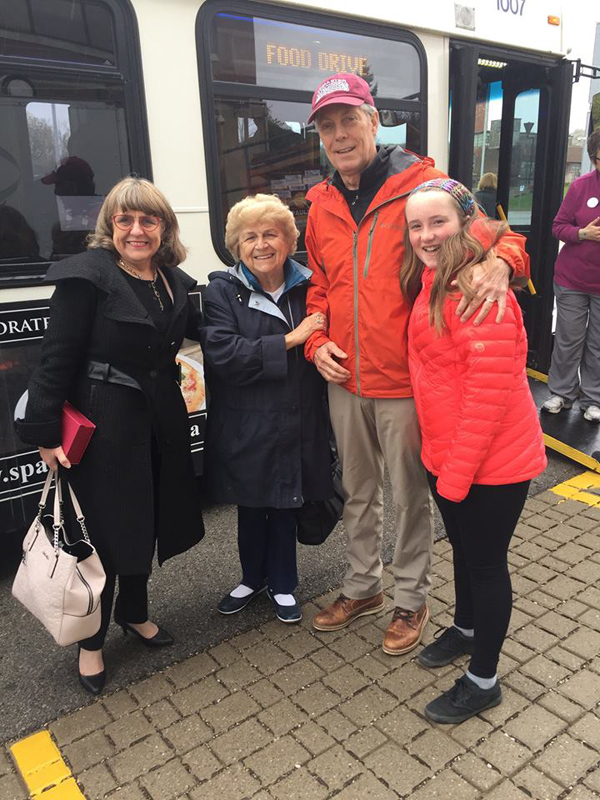 Through various avenues such as community event attendance/sponsoring, fixed signage, billboards and our radio show on AM 900 CHML we are able to reach those who may not be engaged with us on-line. Below are some of the examples of our off-line traditional marketing initiatives. 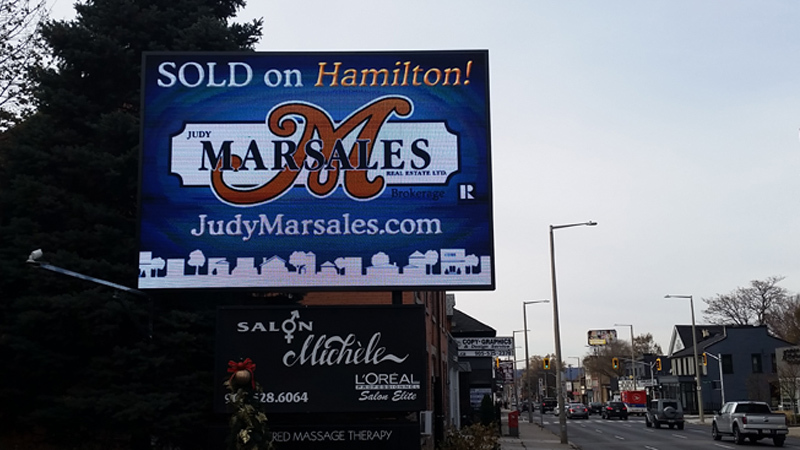 Judy Marsales is the host of the Judy Marsales Radio Show "Sold On Hamilton" which airs on the first Saturday of each month 11am to 12 noon. 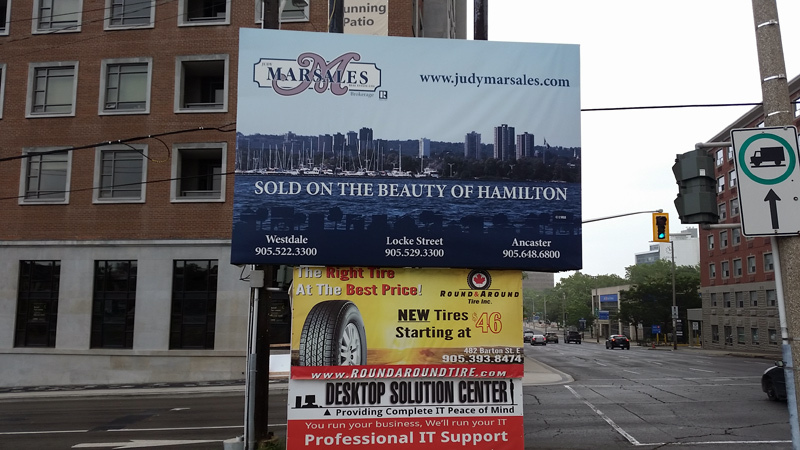 on AM 900 CHML The one hour show highlights some of the city’s community supporters, musicians and innovators and of course there is always commentary on the real estate market in Hamilton. 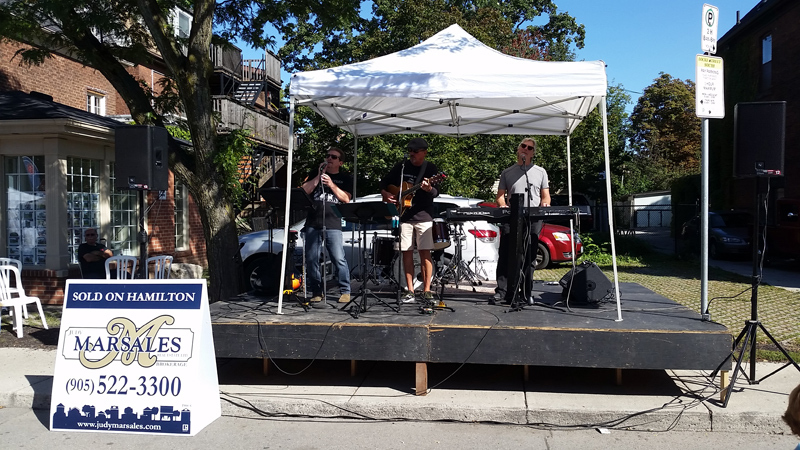 Click here to see our schedule of upcoming shows and other events. Listed below are links to podcasts of some of our past shows. 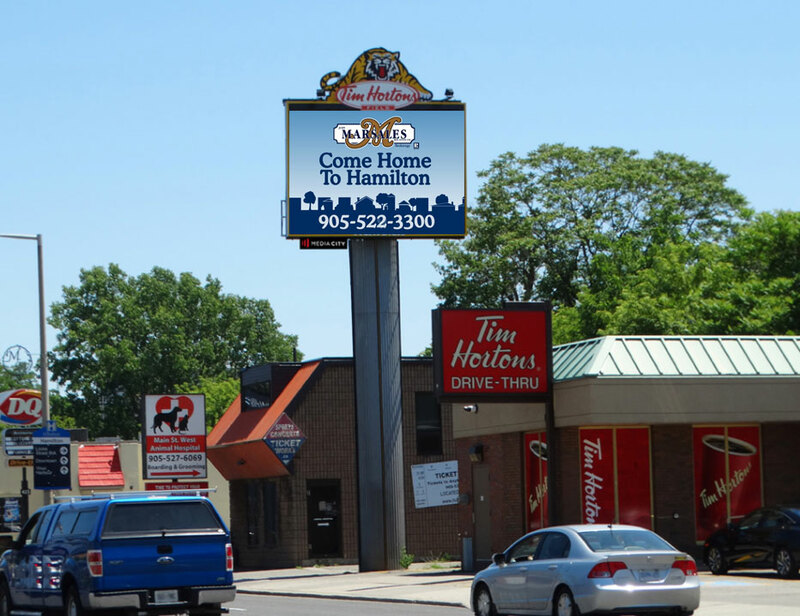 High impact Outdoor Digital boards display our full motion ads at select locations in Hamilton. 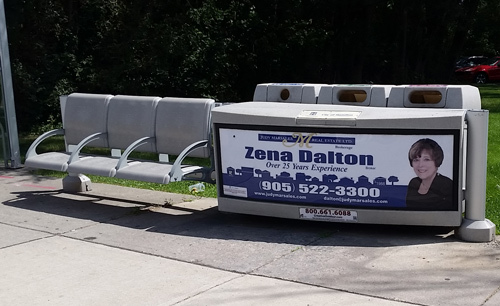 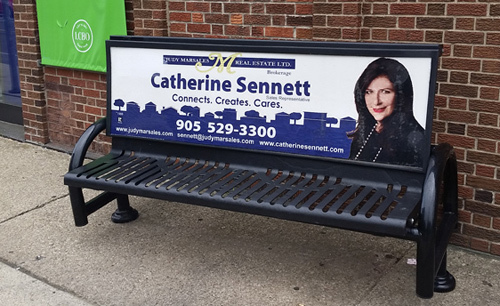 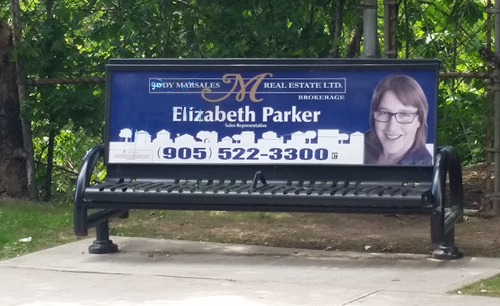 Photos of the bench sign advertising used by some of our REALTORS throughout the city.